Mr. Hassler, practices in the ScottHulse Estate Planning, Probate & Asset Protection practice group. He advises high and mid-net worth individuals and families in estate planning, transfer taxation, asset protection and closely held and family business matters, including charitable, deferred and leveraged giving. 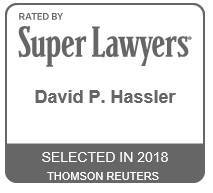 Recognized as one of the leading attorneys in his field, David has been a Fellow of the American College of Trust and Estate Counsel (ACTEC) since 1998. He has also been named as one of the Best Lawyers in America since 2003 and a Texas Monthly Magazine Texas Super Lawyer – since 2004. He is Board Certified in Estate Planning & Probate Law by the Texas Board of Legal Specializaion. David assists high-net-worth individuals with the creation of complex multi-generational wealth transfer estate and wealth preservation plans that implement multiple techniques available to estate planning practitioners. David helps these clients to develop comprehensive, custom plans that go beyond the basic exemption equivalent (or credit shelter) or bypass trust and marital deduction trust planning that is the foundation for any estate plan. These plans also include, when appropriate, full utilization of an individual’s exemptions from the generation-skipping transfer tax with a view towards creating true “dynasty trusts” that extend for multiple generations, if not into perpetuity. Probate and estate and trust administration are other significant aspects of David’s practice. He advises individual and corporate fiduciaries regarding administration and taxation issues affecting trusts, estates and family owned businesses. As part of the probate process, David prepares United States Estate Tax Returns (Forms 706) and advises accountants for his clients regarding such returns. David has handled the IRS audit or examination of several Forms 706 over his career, working in opposition to IRS regional Estate Tax Attorneys to resolve valuation and other complex issues raised by IRS upon examination of Forms 706. He has prepared Form 706-NA and Form 706-QDT for the estates of non US citizens, non US resident decedents with substantial assets in the US, and has obtained both partial interim and final IRS Transfer Certificates for purposes of freeing assets of such clients from the IRS estate tax lien. David is a member of Taxation, Real Estate, Probate and Trust Law, and Corporation, Banking and Business Law Sections of the State Bar of Texas, and served as a member of the Council of the Real Estate, Probate and Trust Law Section from 2007-2011. As a member of the Council, he has participated in the process of preparing the Section’s legislative package of probate, trust and tax laws for consideration by the Texas legislature. REPTL is the largest section within the State Bar with more than 8,800 members. The State Bar of Texas (SBT) has called on David to speak and chair various advanced courses for estate planning and probate practitioners and serve on course planning committees. He has served on the speaking faculties of the SBT’s Advanced Estate Planning and Probate Course and the Estate Planning and Probate Advanced Drafting Course. He served as Course Director for the SBT’s 2002 Estate Planning and Probate Advanced Drafting Course. David is a Fellow of the American College of Trust and Estate Counsel (ACTEC). Membership in ACTEC is by invitation and is only extended to lawyers who have made significant contributions to the Estate Planning, Probate and Trust Law field through teaching, lecturing, and writing. ACTEC is considered the preeminent organization of estate planning lawyers. David has the highest Martindale-Hubbell peer rating of AV Preeminent. An AV Preeminent peer rating reflects an attorney who has reached the heights of professional excellence. He or she has usually practiced law for many years, and is recognized for the highest levels of skill and integrity. Locally, David served as the Course Director for the annual University of Texas at El Paso Estate Planning Conference for Women from 1991 to 2016. In this capacity, he recruited speakers from among El Paso’s estate planning professional groups, including attorneys, accountants, financial advisors, trust officers, and insurance practitioners, and designed a five-week course with a special emphasis on the needs of women and their families. David has been active in a number of civic and charitable organizations in the El Paso community. He currently serves on the Board of Directors of the El Paso Symphony Orchestra Association Foundation. He is a past President of the Board of Directors of the El Paso Division of the American Heart Association, and a former Chairman of the Board of Directors of the Texas State Affiliate of the American Heart Association. David is a past participant in Leadership El Paso, and has served on the boards of directors of El Paso Young Life, the Yucca Council of the Boy Scouts of America, the Texas Tech University Alumni Association, the Texas Tech Law School Alumni Association, the Texas Tech Foundation, Inc. in Lubbock, Texas, the Providence Memorial Hospital Foundation, and the Coronado High School Band Booster Association. He has also taught Engineering Law courses at the University of Texas at El Paso. David is an active member of Coronado Baptist Church. He and his wife Rosane, a retired educator, have three children: Jeffrey, Bryan, and Katie, and nine grandchildren. 2016, April. Asset Protection Planning. Lecture presented at the El Paso Estate Planning Council in El Paso, Texas.